© 2014 The University of New Hampshire. All Rights Reserved. Click on the image below to read the case study. Singer contends that animals may only be used in research and testing if the experiment would also be permitted on humans. As most animal research is conducted as a precursor to studies in human subjects, Singer’s perspective precludes virtually all animal research and testing. Some animal rights proponents and organizations believe that illegal and even violent actions are justified by the need to prevent use of, or harm to, animals. Animal welfare is an older concept. The American Society for the Prevention of Cruelty to Animals, founded in 1866, was the first such organization in North America. Its central principle is that “animals are entitled to kind and respectful treatment at the hands of humans, and must be protected under the law”. In the U.S., the conservation, use, care, and welfare of research animals is overseen by the federal Interagency Research Animal Committee (IRAC). This group developed the U.S Government Principles for the Utilization and Care of Vertebrate Animals Used in Testing, Research, and Training (U.S. Government Principles). These nine principles govern animal research, and serve as the cornerstone of current regulation. Beginning in 1966, several well-publicized cases of animal abuse brought the humane care and use of animals to public attention. These cases, along with efforts by animal rights and welfare groups, helped shape the current regulatory framework, which is based on animal welfare principles. In 1966, Life magazine exposed the abuse of dogs at the hands of animal dealers, prompting public outrage. In 1981, authorities seized Rhesus monkeys from a private research institute in Silver Spring, MD and charged the director with cruelty to animals. Televised portions of experiments involving baboons at the Head Trauma Laboratory at the University of Pennsylvania in 1984 revealed the suffering of inadequately anaesthetized animals, compounded by a cavalier attitude toward the animals’ suffering. Public outrage over the Life exposé prompted Congress to pass the Laboratory Animal Welfare Act (Public Law 89-544) in 1966. The Act was amended in 1970, 1976, and 1985, and its standards finalized in 1991. Commonly known as the Animal Welfare Act (AWA), this legislation currently governs the humane handling, care, treatment, and transportation of vertebrate animals. The AWA covers warm-blooded vertebrate species excluding purpose-bred rats, mice, and birds. It requires the registration of research institutions using these animals and the licensing of animal dealers, zoos, and exhibitors with the U.S. Department of Agriculture (USDA). Enforcement of the AWA is accomplished through several means, including unannounced inspections by USDA staff. Violations can bring severe penalties. Further legislation, the Health Research Extension Act of 1985 (Public Law 99-158), governs all institutions operated by the U.S. Public Health Service (USPHS) and any non-governmental institution receiving funds from the Department of Health and Human Services (DHHS) for research involving vertebrate animals. The Health Research Extension Act mandates that institutions abide by the USPHS Policy on the Humane Care and Use of Laboratory Animals (USPHS Policy), and sign an Assurance committing them to operate according to the principles articulated in the Guide for the Care and Use of Laboratory Animals (the Guide). The USPHS Policy covers all vertebrate animals. Its enforcement relies on self-assessment and annual reporting. Many other federal agencies and some non-governmental organizations also impose these requirements as a condition of receiving funds for research involving vertebrate animals. The Guide defines procedures for research involving vertebrate animals, personnel training, animal facility and housing, and physical and social environments for particular species. Both the AWA and the USPHS Policy mandate the establishment of and specific rules for an Institutional Animal Care and Use Committee (IACUC). The IACUC is an internal committee that oversees the animal care and use program within each institution that carries out research, testing, or teaching involving animals. Institutions commit to comply with AWA, USPHS policy, the Guide, and, the U.S Government Principles through an Assurance. The Assurance is a legal contract that defines the role and responsibilities of the institution, its IACUC, and the principal investigator/instructor. At UNH, the IACUC oversees the institution’s program for the humane care and use of vertebrate animals, including inspection of vertebrate animal facilities. Membership of the UNH IACUC exceeds these minimum requirements, and includes a broad spectrum of expertise reflecting the range of vertebrate animal use in research and teaching at UNH. Use of vertebrate animals in research, testing, or teaching without IACUC approval is a violation of UNH policy. Appropriate sanctions are administered by the Institutional Official (Senior Vice Provost for Research). For example, funding and/or course credit may be withheld, or thesis work will not be accepted by the UNH Graduate School. Full committee review at a convened meeting of the IACUC. Only UNH faculty (including emeriti) and staff members (including post-doctoral researchers) with appropriate authority and access to facilities and resources may serve as a principal investigator/instructor (PI) for applications submitted to the IACUC. IACUC approval for student projects must be requested by and granted to a UNH faculty/staff member who will accept and retain responsibility for compliance with applicable regulations as the PI. PIs must ensure that they use the correct form for the intended vertebrate animal use. PIs are invited to present their applications at IACUC meetings. Only PIs or co-PIs listed on the application at the time of submission who are UNH faculty or staff may present in-person at IACUC meetings. The IACUC meets monthly. PIs must submit completed applications (with signatures) for IACUC review to Research Integrity Services (RIS) at least two weeks prior to the date of the next scheduled meeting. RIS provides administrative support to the IACUC and assists PIs with IACUC applications. PIs must receive written, unconditional IACUC approval before starting their work with vertebrate animals; that is, they must satisfy any contingencies stipulated by the IACUC resulting from the review of the application. PIs must submit any study modifications to the IACUC for review prior to implementation, including use of animals in excess of the approved number. Modifications must not be initiated until they have been approved by the IACUC in writing and without contingencies. ARO staff conduct general training sessions on the humane care and use of vertebrate animals at the beginning of each semester. All faculty, staff, and students involved in the care and use of vertebrate animals must attend a training session. In addition, ARO staff conduct individual or group training for new personnel upon request, including training in specific procedures, animal handling techniques, surgery, anesthesia, and experimental manipulations. The ARO is also responsible for developing, producing, updating, and distributing the Manual for the Care and Use of Vertebrate Animals at UNH to all PIs, and appropriate vertebrate animal care and use staff. Any UNH faculty, staff, or student, or member of the public who has a concern about the treatment of vertebrate animals at UNH should contact the ARO. After reviewing the concern, ARO staff will report to the IACUC. The IACUC is responsible for reviewing, and if warranted, investigating concerns involving the care and use of vertebrate animals at UNH. Off-campus facilities or sites where animal use is planned may require inspection and approval; it is essential to inform the ARO and IACUC and receive any necessary approval before animals are brought to a site and/or project begins. The best way to deal with a safety problem is to foresee and prevent it. When problems do occur, fix them, and then develop plans to prevent their recurrence. Emergency preparedness relating to animal welfare must be addressed as part of the initial and ongoing approval of verbrate animal facilities. Every vertebrate animal facility is required to have a written emergency/disaster plan in place, and everyone working there must be familiar with the plan. Any time individuals think there may be a danger to themselves or to animals, they should remove themselves from the danger and call for help: For an emergency, dial 911; for UNH Police, call 603/862-1427. Personal safety always comes first. The program and principles of vertebrate animal care and use apply to marine animals as well as terrestrial species. Facilities must support proper aeration, filtration, circulation, pH, and temperature of holding tank water. Chillers and heaters should be used when necessary to maintain optimum water temperature. Emergency/disaster planning must include provision for maintaining adequate water quality in the event of power loss or equipment malfunction. Adequate veterinary care must be provided; the proper use of anesthesia, analgesia, and euthanasia will be enforced. Vertebrate animal use in research and teaching is controversial, and opponents sometimes present images and other information about vertebrate animal use in misleading or inflammatory ways. On the other hand, openness and clear communication of the value of vertebrate animal use is essential to maintaining public support of the activity. In the spirit of protecting UNH’s credibility and the integrity of UNH’s research and teaching, UNH has a communication procedure in the event of inquiries about vertebrate animal use in research or teaching. PIs who use vertebrate animals in their research and/or teaching activities, as well as vertebrate animal facility managers, are encouraged to talk with students and personnel under their supervision about recording images of animals and the responsible use of any resulting images. This includes recording using cell phones. Recording images of vertebrate animals may be allowed in some animal facilities, but not in others. Whether images may be recorded is at the discretion of the PI and/or facility manager. Recording images of vertebrate animals should be only for professional purposes. Scenario: A graduate student’s thesis research involves trapping and tagging small vertebrates at field sites across New Hampshire, and then returning to the sites later in the season for a second round of trapping to assess population density and animal movement. The research design also includes laboratory experiments on campus using a small number of captured animals; these individuals will then be euthanized and preserved for future analysis. Which of the following statements are true? 1. As long as the IACUC has approved the activity, no further permits are required. Incorrect. PIs are responsible for obtaining all necessary state, federal, and other permits relevant to their work, even though such permits are not directly overseen by the IACUC. Correct. PIs are responsible for obtaining all necessary state, federal, and other permits relevant to their work, even though such permits are not directly overseen by the IACUC. 2. Since only wild vertebrate animals are involved, no IACUC application is needed. Incorrect. IACUC approval is required for projects involving any vertebrate animal, whether purchased, wild, or domestic – regardless of source.. Correct. IACUC approval is required for projects involving any vertebrate animal, whether purchased, wild, or domestic – regardless of source. 3. The IACUC application must list all vertebrate species that might be trapped, even accidentally – not just the species that are included in the study. Correct. The IACUC oversees all involvement of vertebrate animals in research and teaching, regardless of whether their involvement is deliberate, or part of the study. Vertebrate animals that may be trapped or otherwise affected inadvertently (including fishing by-catch) must still be included in the species list and total numbers of vertebrate animals specified in the application. Incorrect. The IACUC oversees all involvement of vertebrate animals in research and teaching, regardless of whether their involvement is deliberate, or part of the study. Vertebrate animals that may be trapped or otherwise affected inadvertently (including fishing by-catch) must still be included in the species list and total numbers of vertebrate animals specified in the application. 4. IACUC permission is needed only for the vertebrate animals that will be euthanized. Incorrect. All vertebrate animals affected by the study must be included in the application, even those that will be released on-site. Correct. All vertebrate animals affected by the study must be included in the application, even those that will be released on-site. 5. The graduate student should review all relevant safety procedures before beginning the study. Correct. The well-being of people is important, too. Safety of project personnel must be ensured as part of the research plan. For field studies, all participants should carefully review the guidelines for field safety. Incorrect. The well-being of people is important, too. Safety of project personnel must be ensured as part of the research plan. For field studies, all participants should carefully review the guidelines for field safety. 6. Undergraduate field assistants do not need to be listed on the IACUC application (just the graduate student and the faculty PI). Incorrect. All personnel who will have contact with live vertebrate animals must be listed on the application, must be provided with appropriate training and supervision, and must have current occupational health program approval. If field assistants or other project personnel have not yet been identified when the application is approved by the IACUC, they can be added subsequently by contacting the IACUC. Correct. All personnel who will have contact with live animals must be listed on the application, must be provided with appropriate training and supervision, and must have a current occupational health approval. If field assistants or other project personnel have not yet been identified when the protocol is submitted for approval, they can be added subsequently by contacting the IACUC. Scenario: A graduate student’s thesis research involves trapping and tagging small vertebrates at field sites across New Hampshire, and then returning to the sites later in the season for a second round of trapping to assess population density and animal movement. The research design also includes laboratory experiments on campus using a small number of captured animals; these individuals will then be euthanized and preserved for future analysis. Is the following statement true? 7. The laboratory space on campus must be approved by the IACUC before experiments begin. Correct. One responsibility of the IACUC and the ARO is to inspect and approve all facilities on campus that are used for research and teaching involving vertebrate animals. Approval must be obtained before animals are housed or used in the space. Incorrect. One responsibility of the IACUC and the ARO is to inspect and approve all facilities on campus that are used for research and teaching involving vertebrate animals. Approval must be obtained before animals are housed or used in the space. Scenario: A fisheries researcher will be carrying out a cooperative research project working with local commercial fishermen. The research will be carried out aboard fishing boats, in the course of normal fishing activities. The researcher will take samples from some of the fish. The samples will be brought back to campus for analysis, and the rest of the fish will be sold to market as part of the overall catch. Which of the following statements are true? 1. As the fishing activity is occurring independent of the research (that is, the fish would be caught even if the research were not occurring), no IACUC approval is required. Incorrect. Any research involving vertebrate animals must be reviewed and approved by the IACUC. Correct. Any research involving vertebrate animals must be reviewed and approved by the IACUC. 2. The fishing boats must be inspected by the IACUC before the research can begin. Incorrect. No vertebrate animals will be housed or subject to experimental manipulations on the boats; they are analogous to a field site where animals are caught and samples are taken. Correct. No vertebrate animals will be housed or subject to experimental manipulations on the boats; they are analogous to a field site where animals are caught and samples are taken. 3. The fishermen should be listed as “personnel” on the IACUC application. Incorrect. Although the fishermen are catching and handling the fish, the research as such (taking samples) is being performed only by the researcher. All other activities involving the fish are part of normal fishing operations, independent of the research project. Correct. Although the fishermen are catching and handling the fish, the research as such (taking samples) is being performed only by the researcher. All other activities involving the fish are part of normal fishing operations, independent of the research project. 4. The lab where the samples will be analyzed must be approved by the IACUC. Incorrect. No live vertebrate animals will be housed or used in the lab, so IACUC approval is not required. 5. Only the fish species that will be sampled should be listed. Incorrect. All vertebrate species that may be caught should be listed, whether or not they are sampled as part of the study. The IACUC oversees all involvement of vertebrate animals in research and teaching, regardless of whether their involvement is deliberate. Vertebrate animals that may be trapped or otherwise affected inadvertently (including fishing by-catch) must still be included in the species list and total numbers of animals specified in the application. Correct. All vertebrate species that may be caught should be listed, whether or not they are sampled as part of the study. The IACUC oversees all involvement of vertebrate animals in research and teaching, regardless of whether their involvement is deliberate. Vertebrate animals that may be trapped or otherwise affected inadvertently (including fishing by-catch) must still be included in the species list and total numbers of animals specified in the application. 6. Details of sample processing in the lab does not need to be included in the application. Correct. The IACUC has jurisdiction over activities involving live vertebrate animals, but not tissue samples that have been removed from an animal. Incorrect. The IACUC has jurisdiction over activities involving live vertebrate animals, but not tissue samples that have been removed from an animal. 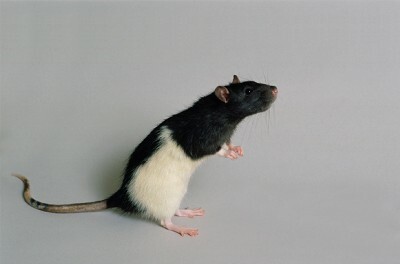 Scenario: A teaching assistant (TA) for a laboratory course receives an anonymous communication from someone claiming to be a student with ethical objections to animal experimentation, who plans to “rescue” the animals intended for class use. What should the TA do first (check one)? Ignore the message, but make sure the lab door is locked when nobody’s there. Incorrect. Maintaining appropriate security by locking the door is an important practice, but in the case of a specific threat, additional actions should be taken, following the procedures in the laboratory’s emergency preparedness plan. Alert the professor in charge of the course. Incorrect. First, take immediate action according to the laboratory’s emergency preparedness plan. The professor should be alerted, but this is not the top priority in responding to the threat. Explain to the students that animal use is a required part of the class, and skipping a lab will result in a failing grade. Incorrect. First, take immediate action according to the laboratory’s emergency preparedness plan. Communicating with students about the threat, including safety/preparedness information and procedures for reporting concerns about animal use, is a valuable exercise, but not the top priority. Once the immediate threat has been addressed, discuss with the professor and other TAs how to address the incident with students in the class. Correct. Take immediate action according to the laboratory’s emergency preparedness plan, and inform campus police of the threat and the need for heightened security in the area. Contact the professor as well as other TAs, instructors, and staff who may be working in the area. Individuals who think there may be a danger to themselves or to animals should remove themselves from the danger and call for help. Personal safety always comes first. Incorrect. First, take immediate action according to the laboratory’s emergency preparedness plan. Once immediate concerns have been addressed, discuss with the professor and other TAs how to address the incident with students in the class. This can be an excellent opportunity to explain why animal use is important as an educational experience, to educate students about the stringent approval procedure required to justify it, and to remind students of legitimate ways to report concerns about the use of animals in their courses. Scenario: A new researcher is arriving on campus and needs to build or renovate a facility to house her research animals. The animals are cute and fuzzy, so there’s a lot of media interest in her work. Which of the following should she consider as she works on getting her program up and running (check one)? Partially Correct - A better answer exists. Emergency preparedness as it relates to animal welfare must be addressed as part of the initial and ongoing approval of animal facilities. The researcher should also be aware of university-wide emergency preparedness efforts and planning, including communications. Partially Correct - A better answer exists. Depending on the nature of her research, the researcher may need to communicate with the Institutional Biosafety Committee (IBC), the Radiation Safety Committee (RSC), and/or the Occupational Safety Committee (OSC) to make sure her animal facility addresses potential hazards to human as well as animal health. Partially Correct - A better answer exists. The researcher should anticipate strong interest in her animals and her work, and make sure she is familiar with the IACUC’s media and communication guidelines. She may also want to contact the Office of Media Relations for help communicating effectively with the media and the public about her research program. Partially Correct - A better answer exists. The new facilities will have to be inspected and approved by the IACUC and ARO before any animals are housed there, and inspected biannually thereafter. If the species in question are covered by the Animal Welfare Act (AWA), there may be unannounced federal inspections. The researcher should become familiar with information about approval of animal facilities at UNH; it will also be important for the researcher to establish a good working relationship with the ARO. Partially Correct - A better answer exists. A strong working relationship with the ARO will benefit both the researcher and her research animals. The ARO provides assistance to project directors in every phase of animal activity. Partially Correct - A better answer exists. All vertebrate animal use at UNH requires prior approval by the UNH IACUC. Since the new researcher needs this approval before she can purchase the animals (she will likely need IACUC approval to obtain grant funding to pay for them), she should get an early start on the application process. Even if she brings animals with her from another institution, UNH requires she obtain approval from the IACUC to use them in her work at UNH before bringing them to UNH. Partially Correct - A better answer exists. It is the researcher’s responsibility to provide appropriate training and supervision for all students (graduate or undergraduate) or others who have any contact with vertebrate animals, regardless of their role. UNH has a mandatory occupational health program for animal handlers, and mandatory training for animal care and use personnel. The researcher should make sure each research assistant is added to her approved IACUC protocol, and that they are familiar with her specific animals and procedures as well as with general issues such as both university-wide and facility specific emergency preparedness procedures, media guidelines, and reporting of concerns about animal use. The Basic Guidelines for Biological and Personal Safety When Working with Vertebrate Animals are an excellent starting place. Correct. All are responsibilities of every researcher who plans to use vertebrate animals in research or instruction. The ARO and IACUC are responsible for overseeing all aspects of vertebrate animal use on campus, and offer support and guidance for all researchers who need to comply with the terms of UNH’s Animal Welfare Assurance. Scenario: A UNH researcher has just received a grant from a feed company to test a new dietary supplement for dairy cows. Cows will have the supplement added to their feed for two weeks, and milk components will be analyzed before, during, and after that period. An undergraduate student will assist with the project, and then use the data as part of a senior honors thesis. Which one of the following statements is correct? Since the cows are already on campus, no new IACUC approval is required for this study. Although no new animals will be purchased, it is a new research project and requires review and approval by the IACUC before starting. Since the PI on an IACUC application must be a UNH faculty or staff member, the researcher supervising the thesis will be the person to submit the application and take the ultimate responsibility for the animals involved. The student will be listed as project personnel. If the student wants some help, it’s fine if a friend comes along to the barn. Incorrect. Any individual who will be working with animals must be appropriately trained and supervised. Failure to meet these requirements poses serious risks to the people, the research, and the animals. It is illegal for the student to take or use photos of the cows as part of the thesis. Incorrect. However, it is important that the student discuss the use of any photos with the principal investigator and facility manager, and review the IACUC’s media and communication guidelines. Because the funding comes from an outside company, UNH policies and regulations do not apply. Incorrect. All vertebrate animal use is covered by UNH’s policy on the Care and Use of Animals, regardless of funding source. It is important to consult the facility manager and other researchers who use the herd to make sure the project can be accommodated. Correct. Individual animals may not be involved in multiple simultaneous research projects, both for their own welfare and to ensure the validity of results. Because only milk will be analyzed, and the cows are being milked anyway, no IACUC approval is required. Incorrect. The animals will be given different diets as part of the research, and IACUC review and approval is required for this activity. Click on the image below to see the case study that was presented at the beginning of this module. Once you have finished all of the review questions click ’Certify Completion’.